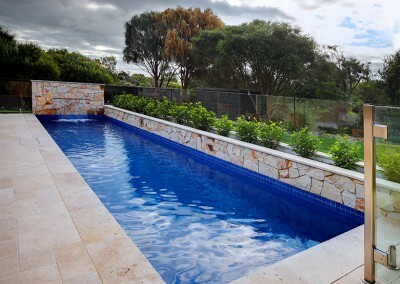 The owners of this coastal cottage wanted a lap pool for their active lifestyle that also allowed them to retain a magnificent garden area. 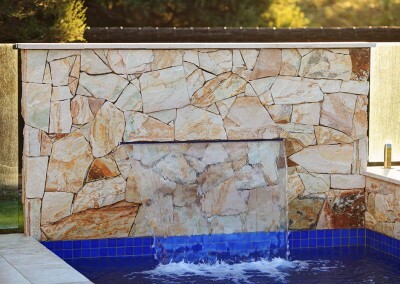 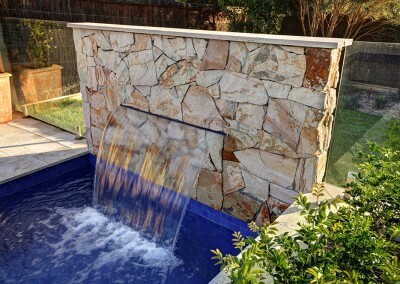 Stone was used extensively on this project as a feature wall for the planter boxes as well as a waterfall, which creates a soothing sound year-round. 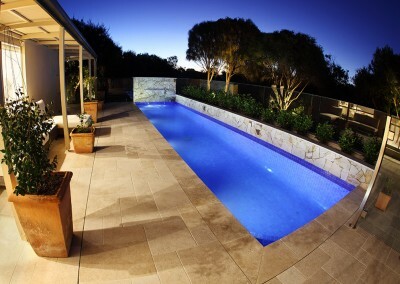 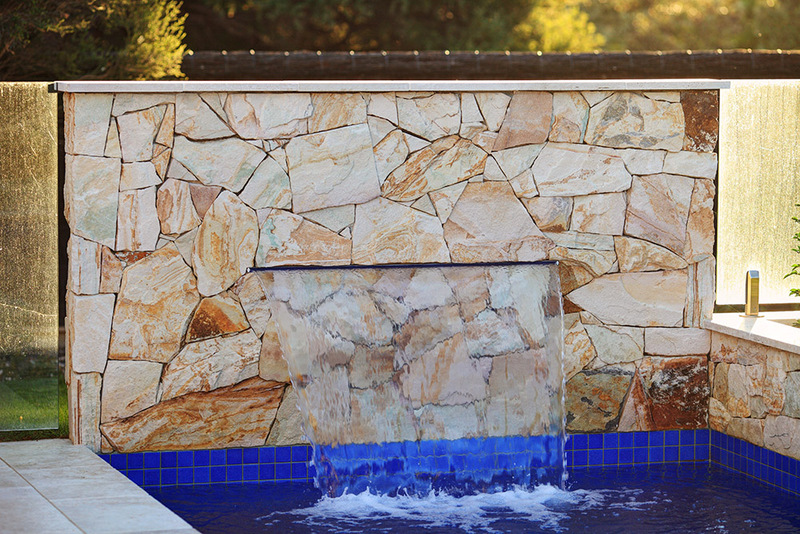 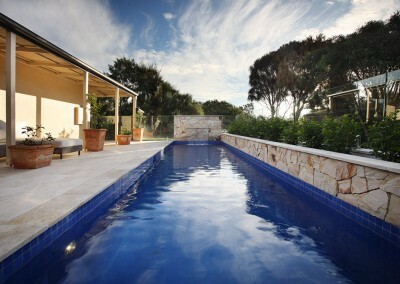 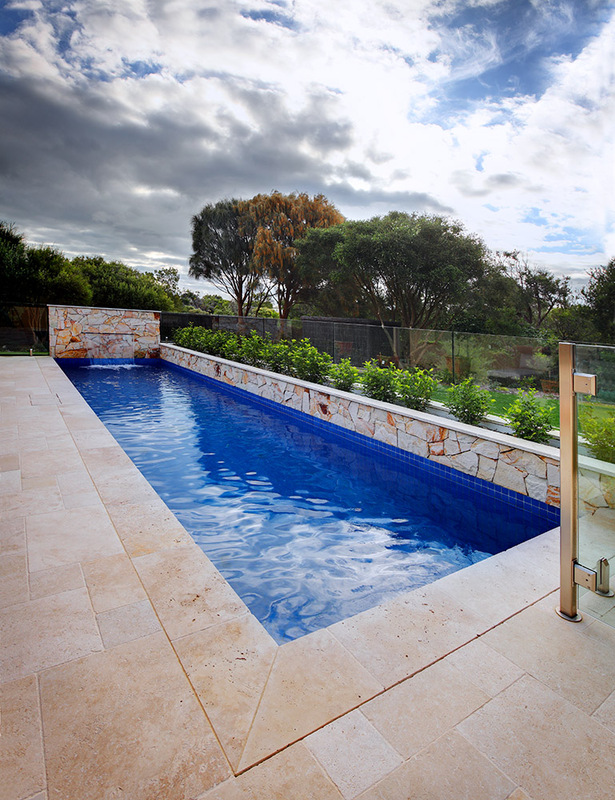 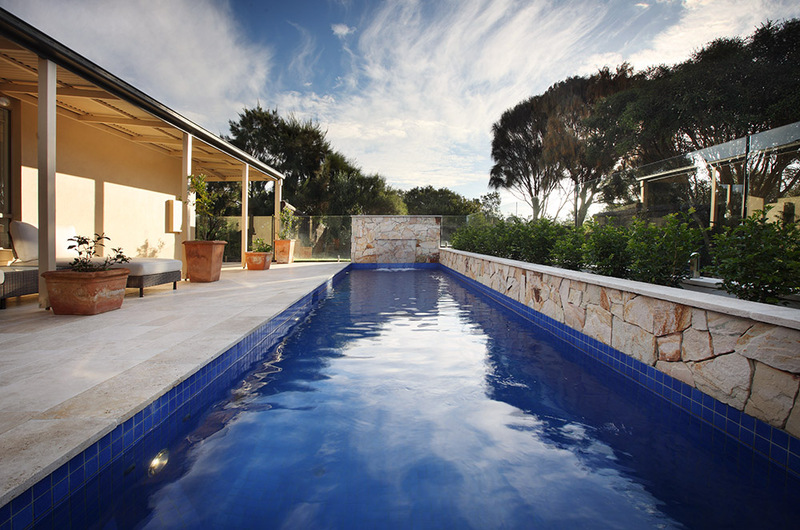 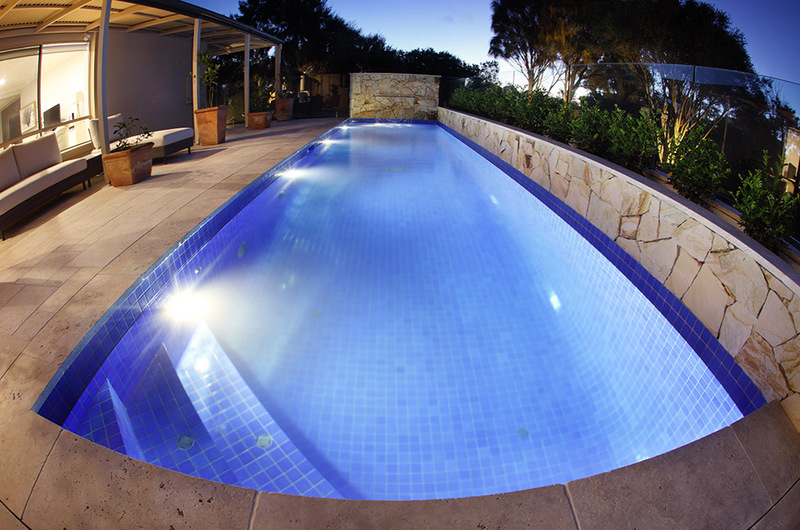 The glass pool fence ensure that the aesthetics are maintained and the smart design hides elements such as drainage. 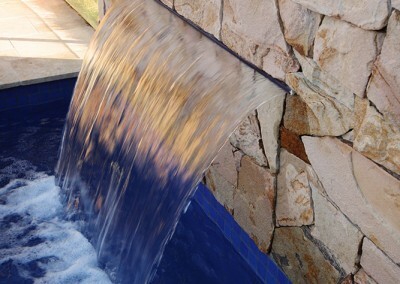 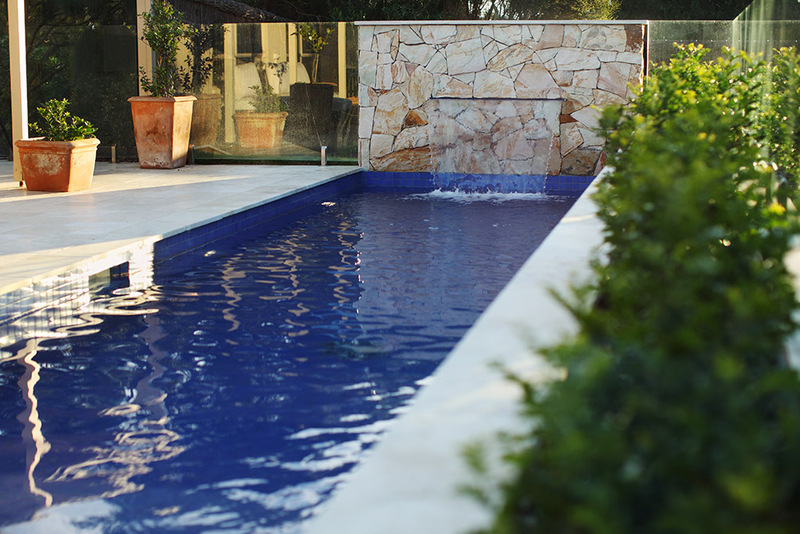 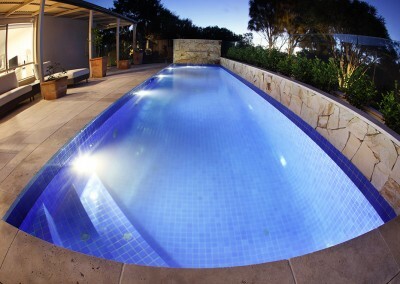 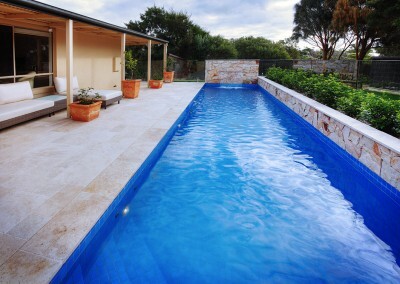 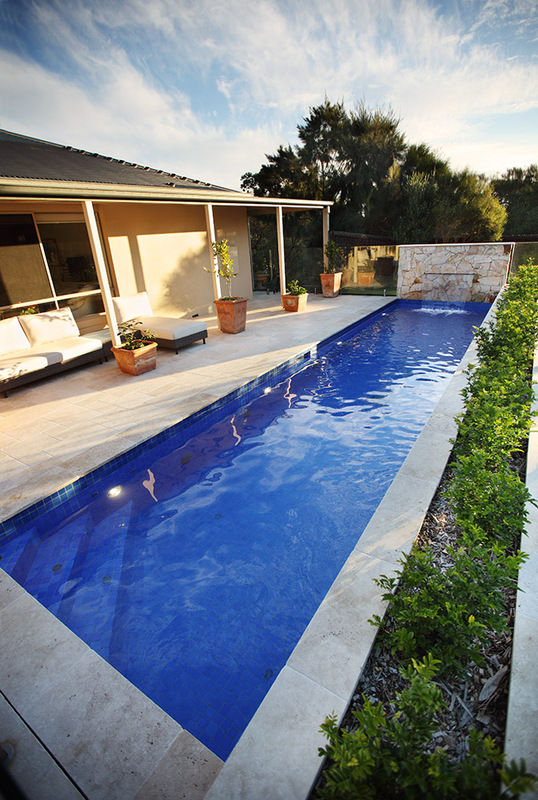 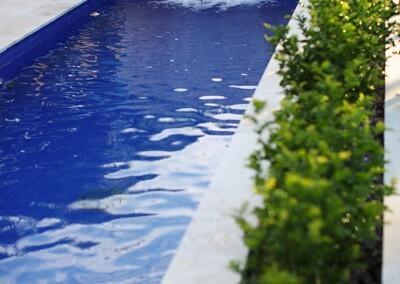 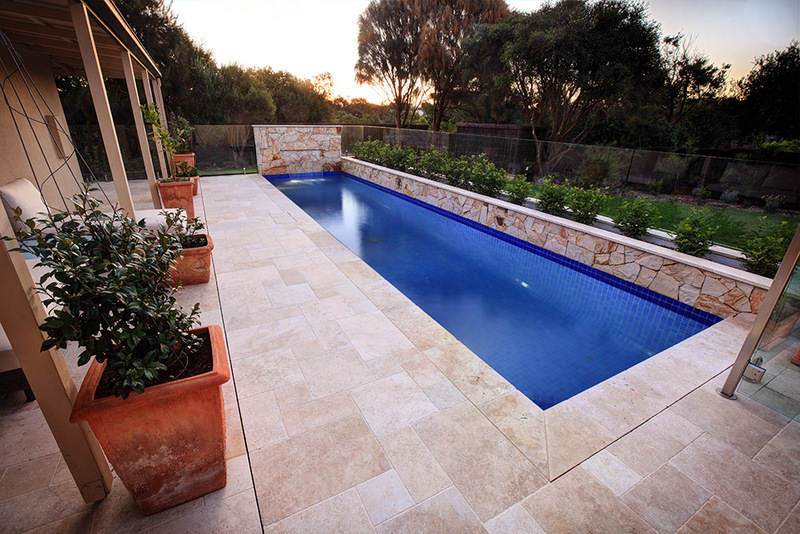 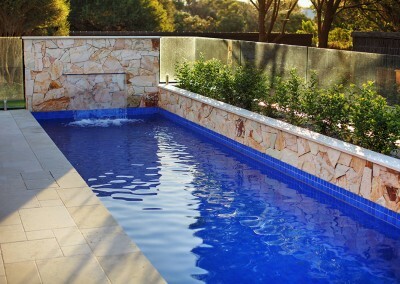 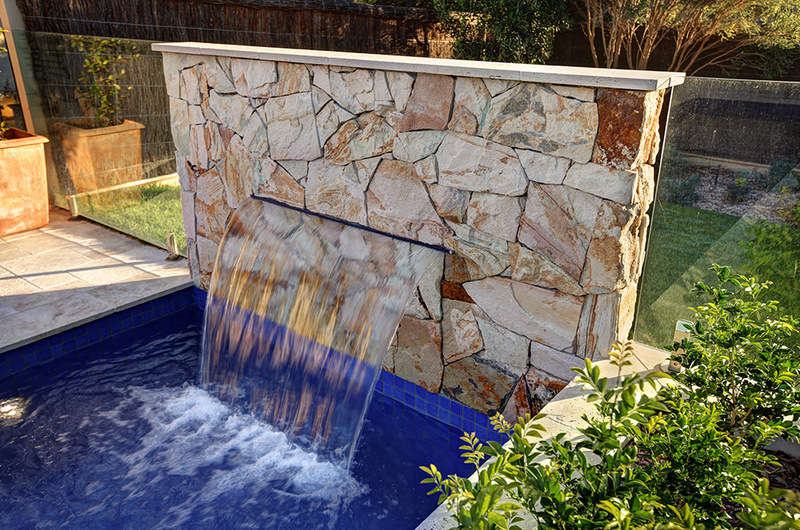 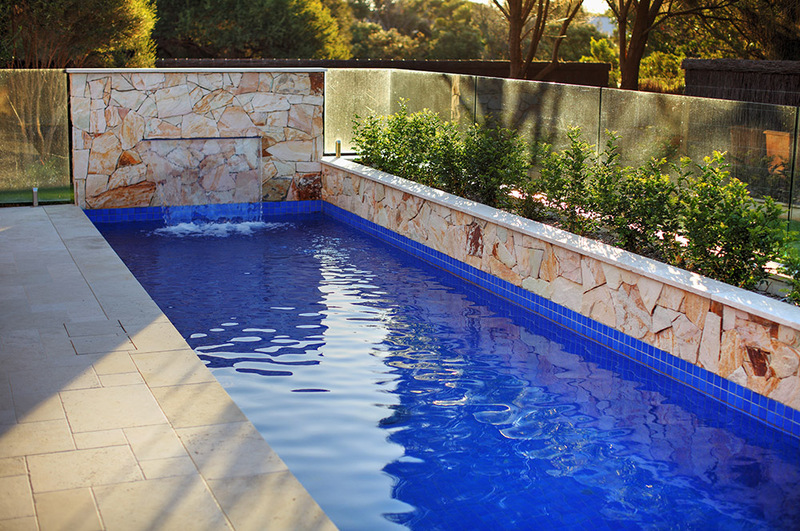 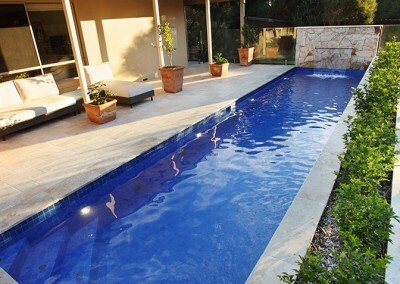 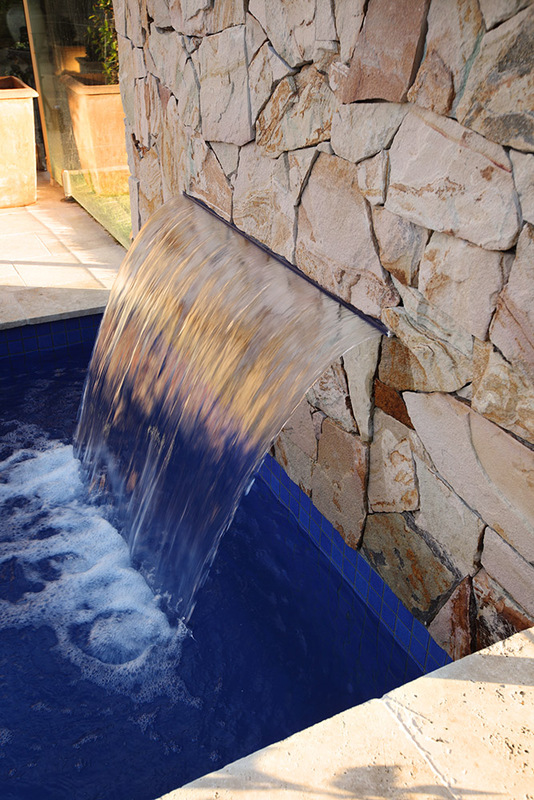 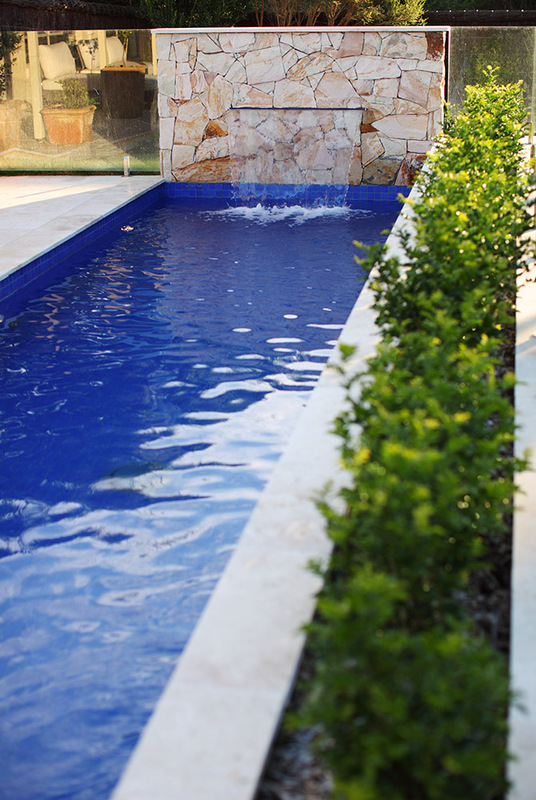 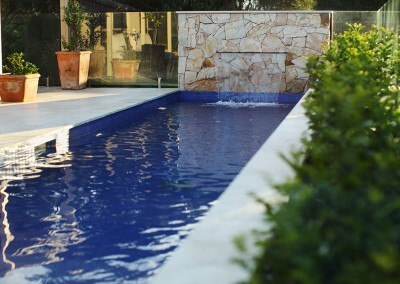 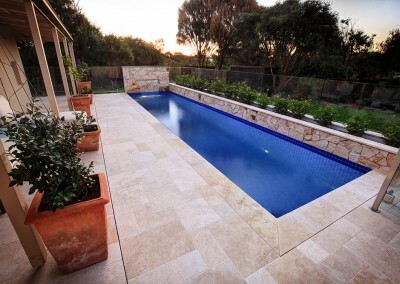 This lap pool not only provides a practical benefit to its owners, it creates an inviting and interesting outdoor space.